Injections. Pain killers. Endless physical therapy. And then surgery. This is what you’ll face if you choose the conventional herniated (slipped) lumbar disc treatment. Lots of money spent, little relief gained. (Not to mention no real cure, just symptom relief). 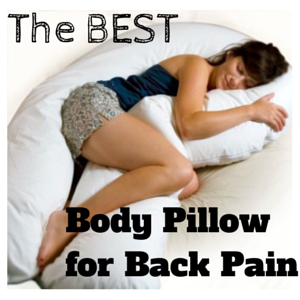 This is why here you’ll only find the best natural treatments for lumbar herniated discs. Not only are they superior, but they are ultimately cheaper and more effective than any pill, injection and even surgery (unless you really like going under the knife). 2 What Causes Low Back Herniated Disc? 8 Can Herniated Discs Heal on Their Own? First you should know that if you’re only experiencing back pain, with no other symptoms, don’t jump to conclude that you have a herniated disc. You’ll be surprised to know that many people have a ruptured disc without even knowing it, since the pain is felt only when the disc touches the nerve next to it. The pressure causes the pain. Herniated disc in lower back usually feels like local back pain with radiating leg or arm pain (depending in where the herniation is). But, if you experience loss of bowel control along with these symptoms, you should go to the emergency room as quickly as possible. Loss of bowel or bladder control is a medical emergency, so you should get to the emergency room as quickly as possible if either of these things happen to you. What Causes Low Back Herniated Disc? Technically, a disc herniates when the outer part of the disc begins to weaken and the inner soft part starts to press outward. Most people don’t even know they have a herniated disc until the herniation is touching the nerve. The two most common causes are trauma and muscle imbalances. Eventually, the weak spot will give way and make contact with the nerve, bringing a world of pain to your life. This does not happen over night (unless the cause was trauma – like in a car accident). It takes a long time for the nerve to suffer enough pressure to cause pain. Common treatments include cortisone injections, non-steroidal anti-inflammatory drugs (NSAIDs), ultrasound, electrical stimulation, and of course the highly profitable back surgery (though not profitable for you unfortunately). The problem with pain killers, injections etc is that they only address the symptoms, and do nothing to cure the root problem. Their “solution” is temporary (if it works at all) and one day you wake up and realize that you’ll need pills and injections for the rest of your life. There are a few surgical procedures for a herniated disc, all of which have two main goals: to take pressure off the nerve and to stabilize the joints. Apart from being terribly expensive, surgeries do not always work. Recovery time is extremely long and since the root cause wasn’t fixed – you find yourself needing another surgery as more and more discs are rupturing all over your spine. Natural home treatments for bulging discs are cheaper in the long run, they are non-invasive, more effective and overall much healthier for you. Don’t you think? Here are the best natural options. The more you combine and the more you use – the quicker you’ll heal. Like I’ve explained before, the pain you experience comes from the pressure on your nerves. If you go to a chiropractor or a physical therapist, the first thing he’ll do is spinal decompression. He’ll use a back traction machine to separate your vertebrae and lift the pressure off your nerve, which usually result in an immediate and long-lasting relief. Other than being an effective drug-free pain relief for herniated discs, this “negative pressure” will help a misaligned disc to be sucked back into place and create space between the vertebrae for more blood and oxygen to get there. This is the real and natural way to completely heal a herniated disc. No pain pill or injection can do this. There are many ways you can do spinal decompression at home – when ever you need it (without depending on a physical therapist) and for a fraction of the cost of treatment. You can use a back stretcher. You can use an inversion table. You can use a home back traction unit. The possibilities are endless. Another amazingly helpful way to relieve herniated disc pain without medication is infrared light therapy. Infrared rays, which are completely invisible to the naked eye, are capable of penetrating deep into your tissues (literally right down to your bones) where they gently elevate the body’s surface temperature and activate major bodily functions. 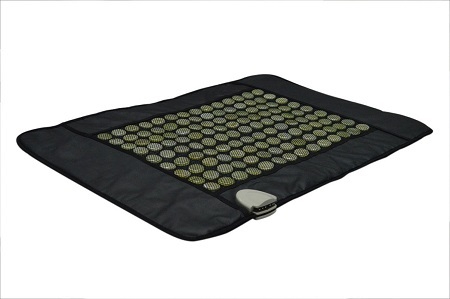 An infrared heating pad will boost your blood circulation in the area, bringing – fast – pain relieving agents, oxygen and healing agents. The result is a quick pain relief, which usually lasts for 6 hours, while “working” on healing the disc herniation in long-term too. (Don’t worry; far infrared rays are 100% safe. They’re NOT the ultraviolet rays which cause sunburn and skin cancer). It’s my family’s favorite “home doctor” for almost all pains, aches and ailments for years now. About 40 years ago a doctor named Dr. Max Wolf, from the Columbia University, discovered that when the body reacts to pain, the bodies of younger adults responded by flooding the painful area with something called “proteolytic enzymes”. But for some reason… the older folks he studied showed dramatically reduced levels of proteolytic enzymes and therefore felt more pain. Since then scientists have found that proteolytic enzymes are the first line of defence against pain and inflammation! Proteolytic enzymes can also “eat” fibrin and scar tissues, cleanse toxins from the blood and even fight viruses and boost your immune system. My favorite Proteolytic enzymes supplement is called Heal n’ Soothe – Here’s my full review for it. You’ll get different answers for this question, depnding on who you ask. Through my research I’ve found that small herniatation tend to heal on their own after about 6 weeks. Larger herniations may not completely heal, but may definitely feel like it, since you can get rid of most of not all symptoms. Like I’ve mentioned before, the best approach would be to combine more than 1 of these natural treatments. If possible – all of them. Do regular spinal decompression at home, fight inflammation through systemic enzyme therapy, mind what you eat, carefully exercise (swimming is best) and use infrared heating to relieve your pain fast – without medication. Bottom line is that natural remedies for herniated discs cost less in the long run, are painless, and most importantly – effective. I hope you’re convinced as I am, because when it comes to healing, nothing will be more effective than you believing in your ability to heal. Do you have any questions or comments? Looking forward to reading them in the comments below. My dad suffers from a herniated disc so I’ll have to share these natural treatment tips. He has used conventional treatments and they have helped but without a lasting solution. I don’t think that he’s tried proteolytic enzymes so I’ll recommend he tried that, like you said. Thanks for the helpful article. Does it makes sense, or might it even be a bad idea, to supply proteolytic, fibrinolytic enzymes to a damaged annulus (made of fibrin) which is trying to repair itself by producing new fibrin? That could be a problem I think. In your case I would opt for infrared therapy in the form of infrared heating pad to boost blood circulation and promote more fibrin production. I would also use back traction as another aid to healing. I appreciate the information on helping your herniated disc. I had no idea that having muscle imbalances could cause herniated discs, I though that you would have to have some sort of accident to get a herniated disc. My brother thinks he may have a herniated disc but he has never gotten in an accident or anything, I will be sure to share this information with him.